Your IP: 3.88.161.108 · United States · You are in TRUST.ZONE now! Your real location is hidden!YOU ARE NOT PROTECTED! Using our system of data collection, research, and speed testing we’ve assembled the most comprehensive list of metrics to measure every VPN in the industry against. This means that for any results we rank near or at the top of their respective categories, you know they’ve actually earned that spot instead of just shelling out extra advertising dollars for it instead. 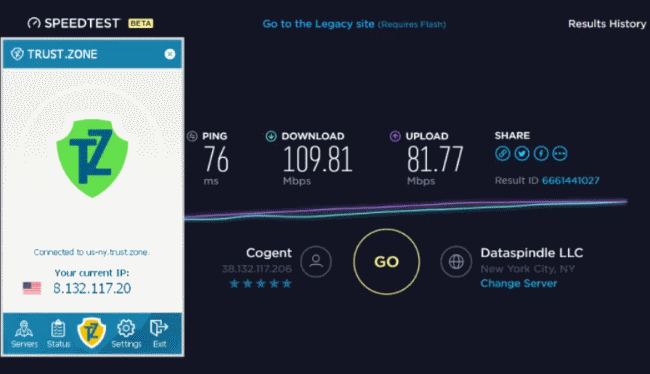 In our eyes, speed is the probably the single most important metric that any prospective VPN buyer should be aware of when making their final decision. 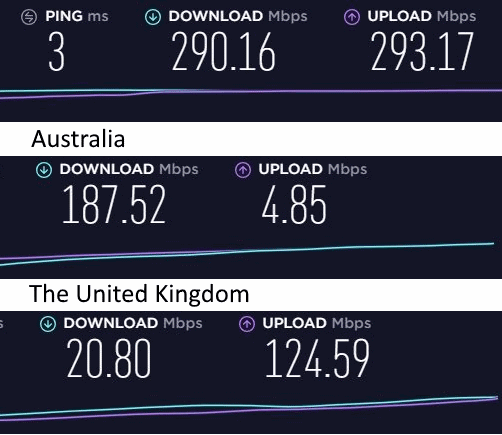 Once the VPN is connected to the fastest server in a specific region, we then run six tests in total to determine the overall average. The first three are dry runs which connect to the closest server here in Portland, designed to gather data for a control of what the unrestricted non-VPN speed looks like at the hour we tested locally. See other speed tests here. 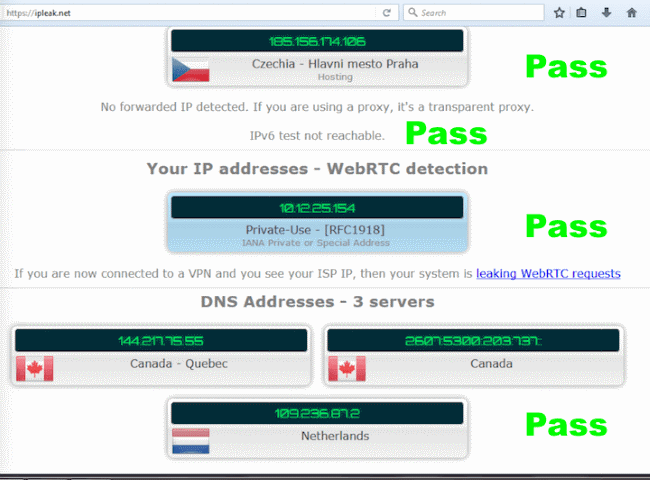 VPNBasen is a well known Swedish tech- and privacy portal. The site's main focus is to provide news regarding internet privacy, censorship and file sharing. In the past months VPNBasen has been monitoring the EU copyright directive, Youtube copyright strikes and new VPN-standards. The VPN comparison service tests many VPN for performance, no logging, no IP leaks no DNS leaks. Trust.Zone provides green light for torrenting and p2p on all servers. VPNpro makes it easy to choose VPN by providing in-depth reviews of a wide variety of VPN providers. They review all new and old VPN providers to help users find the one that will fit their needs the best. All the reviews and ratings are constantly being updated with the newest information, so readers can get all the current pricing, speed, performance, servers, and privacy information without having to look elsewhere. 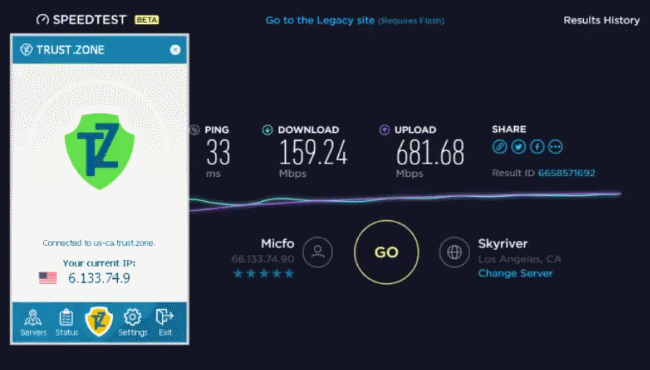 We experienced average and quite fast speeds while using Trust.Zone VPN. We Even the dedicated online video streaming test (fast.com) showed good enough speed for 4K streaming. All of the VPN reviews on Restore Privacy are based on extensive testing to see how well the VPN protects your privacy and security. Every VPN is tested for IP address leaks (both IPv4 and IPv6), DNS leaks, reliability, speed, and how well the features work. Other considerations include privacy jurisdiction, company policies, trustworthiness, and the track record (background) of the provider. Speed testing results were overall pretty good. I could typically get around 40-50 Mbps on all European servers. I was impressed with some of the server speeds in the US, which are further away from my location in Europe and typically slower. But with Trust Zone’s Massachusetts (USA) server, I could again get close to 50 Mbps. Security and privacy testing results: Trust Zone did well in all tests for this review. Windows – I thoroughly tested the Windows VPN app with different servers. I did not find any IP address leaks, DNS leaks, or WebRTC leaks. Mac OS X – I tested Trust Zone on the latest version of Mac OS Sierra using Tunnelblick, which is free, open source VPN client for Mac OS. I did not find any problems or leaks through extensive testing. Android – I tested Trust Zone on android using the built-in IPSec configuration. I did not find any leaks or problems.